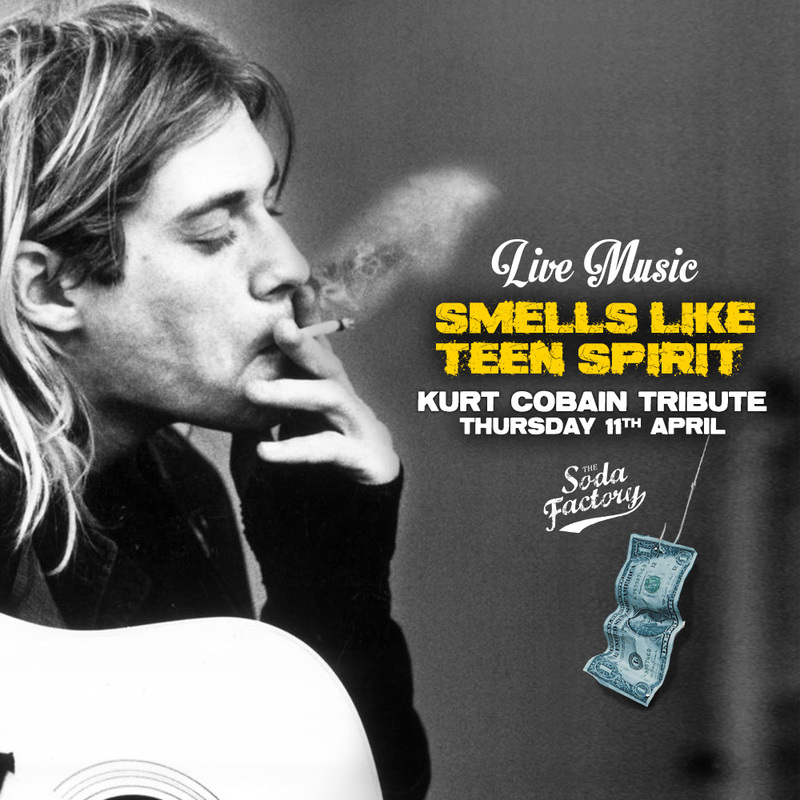 Royale with Cheese return to The Soda Factory on Thursday 11 April to celebrate the life of Kurt Cobain, sadly gone 25 years to the day. The band will be playing 90s grunge rock, heavily featuring Nirvana but also Pearl Jam, Soundgarden, Stone Temple Pilots, Alice in Chains and more. Come as you are to smash pumpkins and rage against the 90s and we raise our glass to this legend!